Very convenient rent located in the prestigious Mystic Pointe in Aventura. Large two bedroom plus den condo with beautiful views of the marina and the canal. The master bedroom is very big with and includes a large shower area, bathtub, and a large walking closet. Washer and dryer inside the condo. Wrap around balcony and storm shutters on all windows. 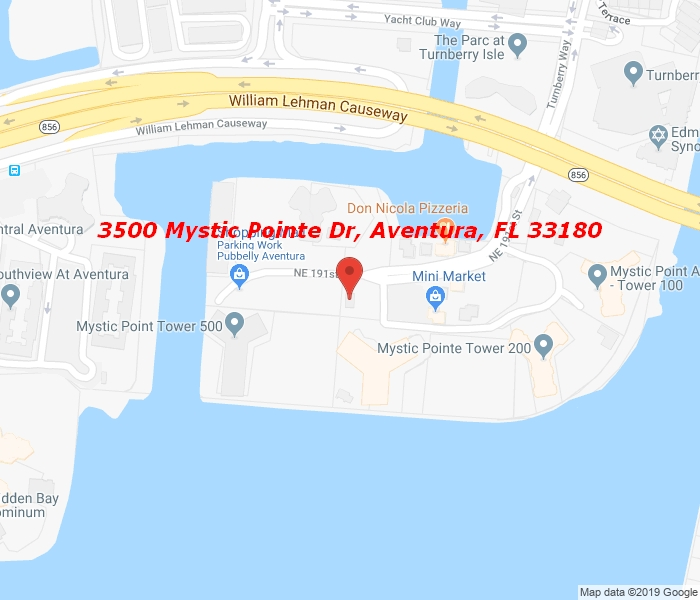 Mystic Pointe is a full amenities building with fitness center, game room, library, gorgeous pool, Jacuzzi, sauna, eight tennis courts, dry cleaning, restaurant, beauty salon, and much more!. Minutes from the Aventura mall, Sunny Isles Beach, the ocean, and houses of worship.